Looking north along the York Stream at Maidenhead. Just beyond the carved tree stump near the centre of the photo is a junction. The York Stream, that we are looking along, merges with the Moor Cut which passes to the right of the tree stump. 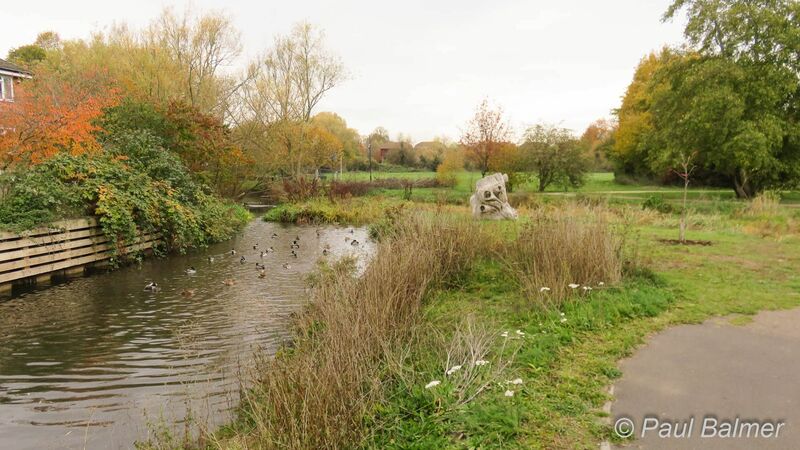 Beyond the tree stump they form a single waterway known as the Maidenhead Ditch.